We may be a week late because of the 4th (hope you had a great one), but we're still on track with our July Wednesday Mixer at Brazilian Breads. 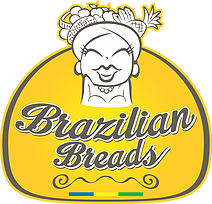 If you haven't tried Brazilian Breads' selection of unique and delicious (and naturally gluten-free) pastries and sandwiches, do yourself a favor and join us for our monthly mixer. Apart from sampling their cafe menu, you'll be able to rub elbows with your business community in their bright and lively restaurant (and probably a little outside too -- it's a small cafe).